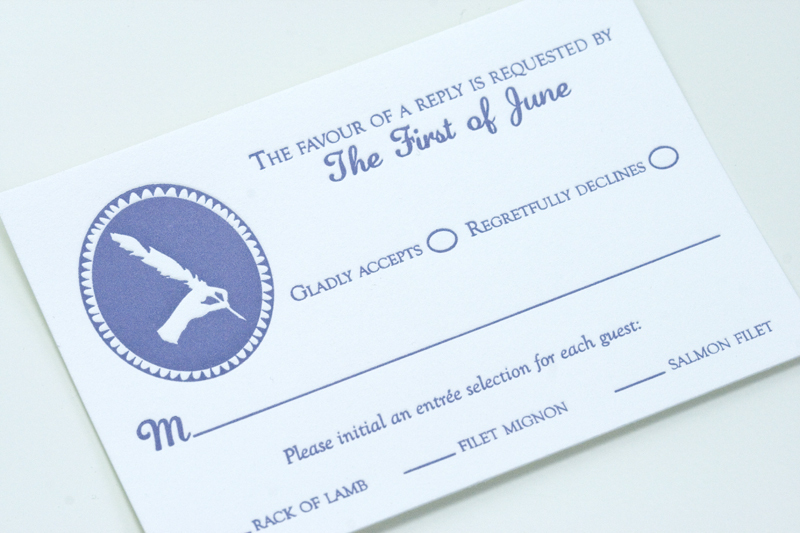 This has to be one of our favourite customizations of our invitations yet. 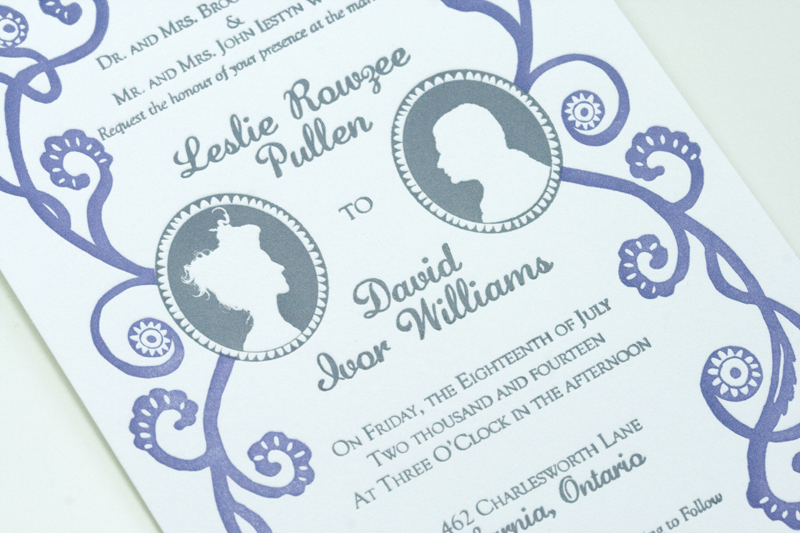 Working with our Regency invitation, Leslie choose to have it printed in Pewter and Overcast Blue and also took advantage of the cameo customization that comes with this invitation. 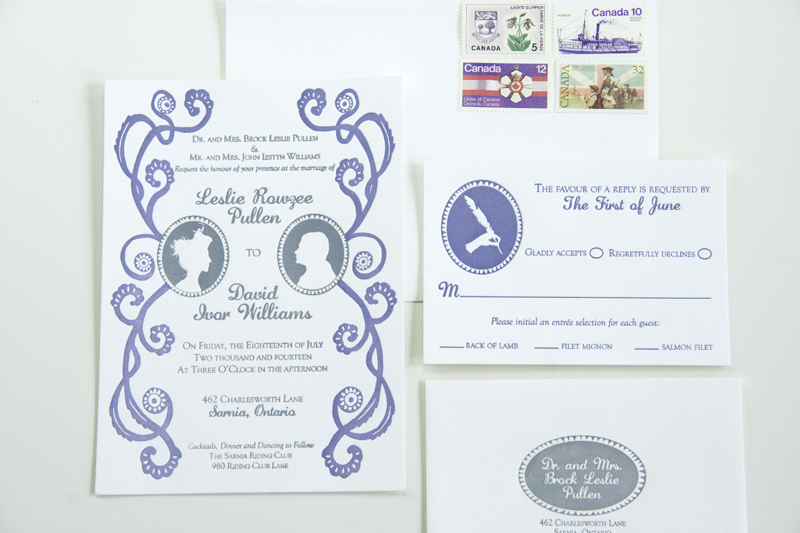 We work from photos of the bride and groom and illustrated their cameos, fitting them into the invitation. The result is absolutely fabulous. 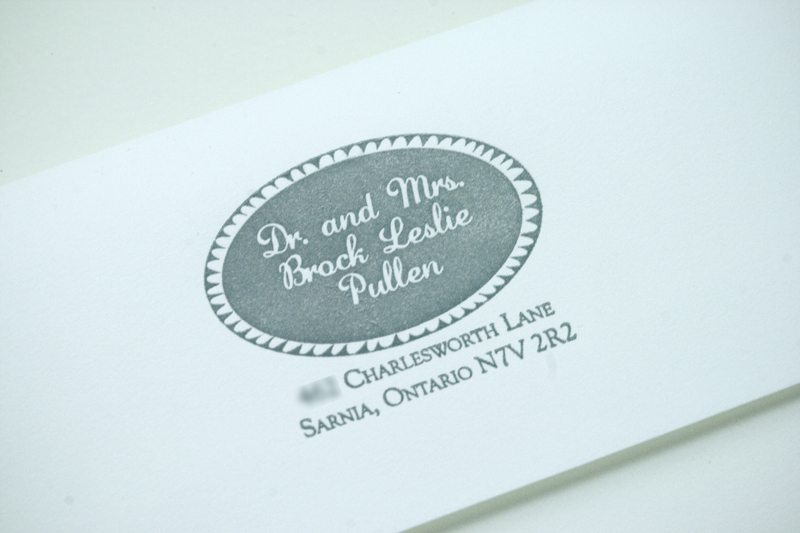 Specs: Regency invitation printed in Pewter & Overcast Blue on Crane Lettra, 300 gsm pearl white with customized cameos.